When my husband and I visited the Biscuit House in Nashville, we spotted a map covered with push pins as a way for customers to identify where they were visiting from. 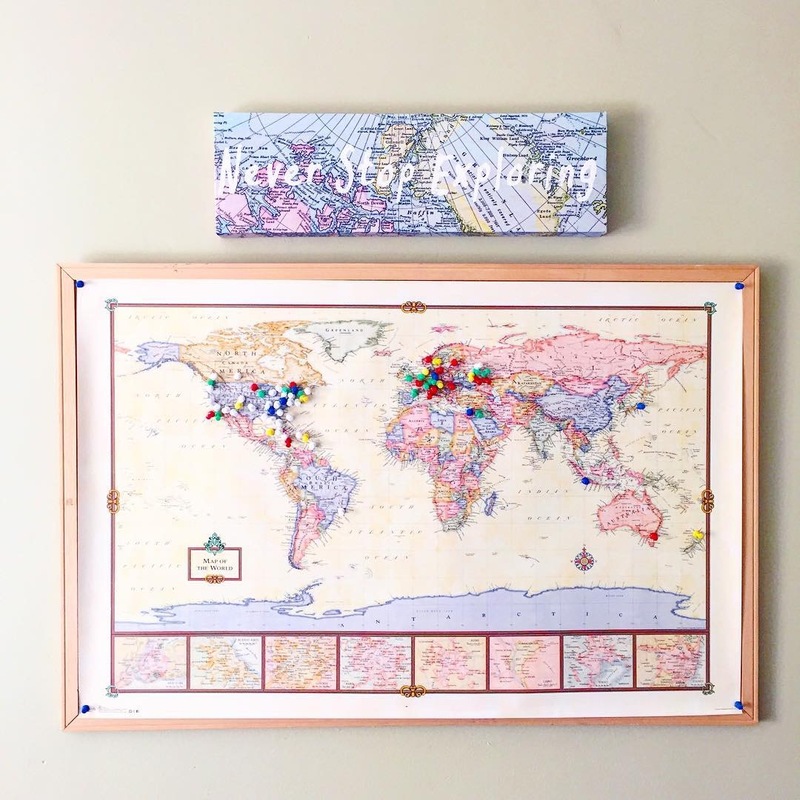 I loved this idea and thought it would be cool to do a similar project at home identifying all of the places we’ve traveled, especially since with my husband being on the road touring so much. I found a cork board at Goodwill Akron for $1, measured it, and made sure to order a map that fit perfectly. We had so much fun pinning the map. We counted 68 pins between the both of us. Can’t wait for the next adventure! Shop similar world map and cork board .